Pyrgaki hotel has all the modern comforts and facilities in order to make your stay memorable. 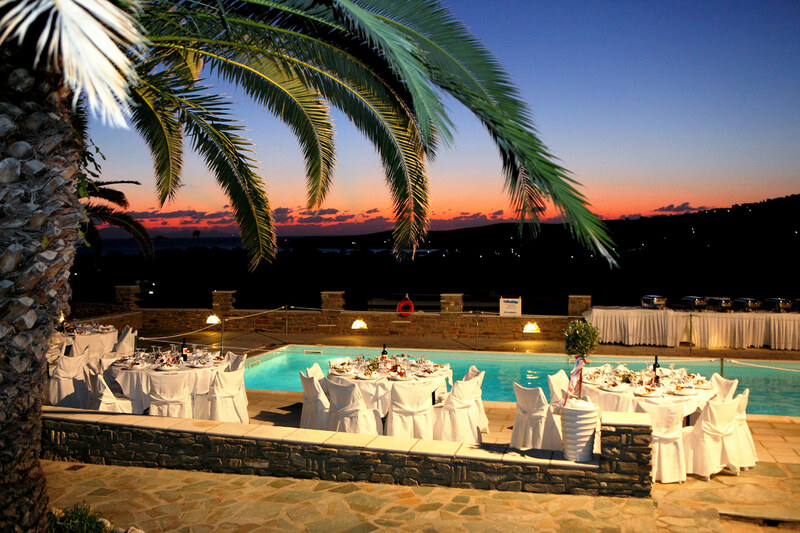 The main building disposes of an air-conditioned restaurant with 60 seats and an outside restaurant with 70 seats with amazing view of the swimming pool, Parikia town, Port & the sea. There is also a reception area with TV lounge and a main bar/cafe. In the outside complex you can find 2 swimming pools (one for children) and a small chapel (weddings, baptismal ceremonies, etc). Sun beds and umbrellas are also at the pool.